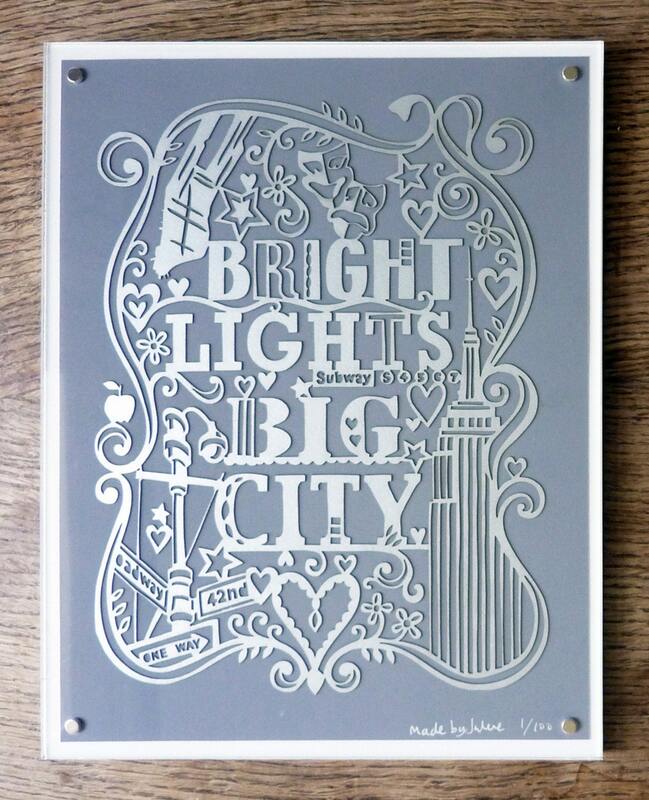 I am currently loving these gorgeous laser cut-outs by London-based artist, Julene Harrison. Whether you have a fancy house in London town, love Paris in the spring time or if the streets make you feel brand new, chances are these prints will inspire you. Did you catch the three songs I weaved into that last run-on? Seeing as how I love all three cities so, SO much, it is impossible to pick a favorite! Of New York, Paris, and London, which city is your favorite? What fun pieces! Of the three though, my heart is definitely in London! i must have one of those. they are fantastic. great post! No question for me....PARIS! Truly gorgeous! 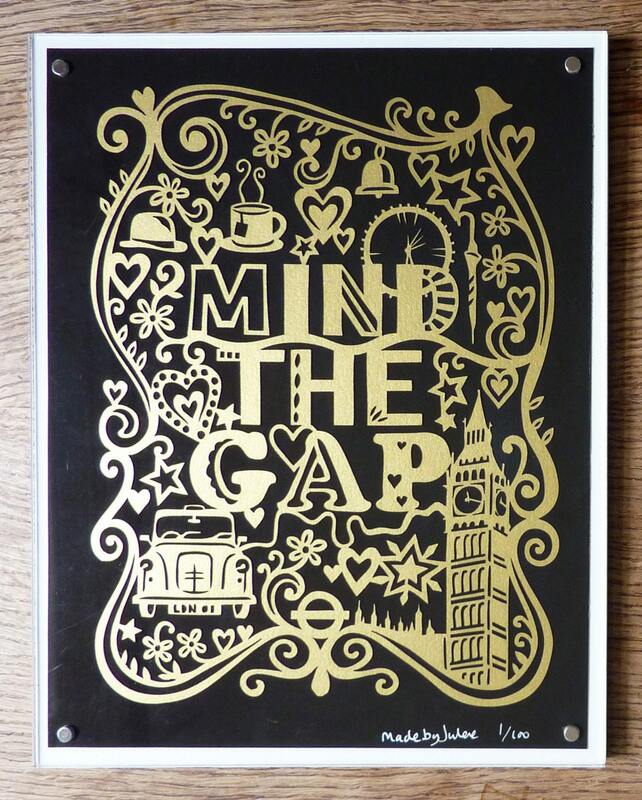 Loved these when I saw them on A Diary of Lovely - I think London is my fave! 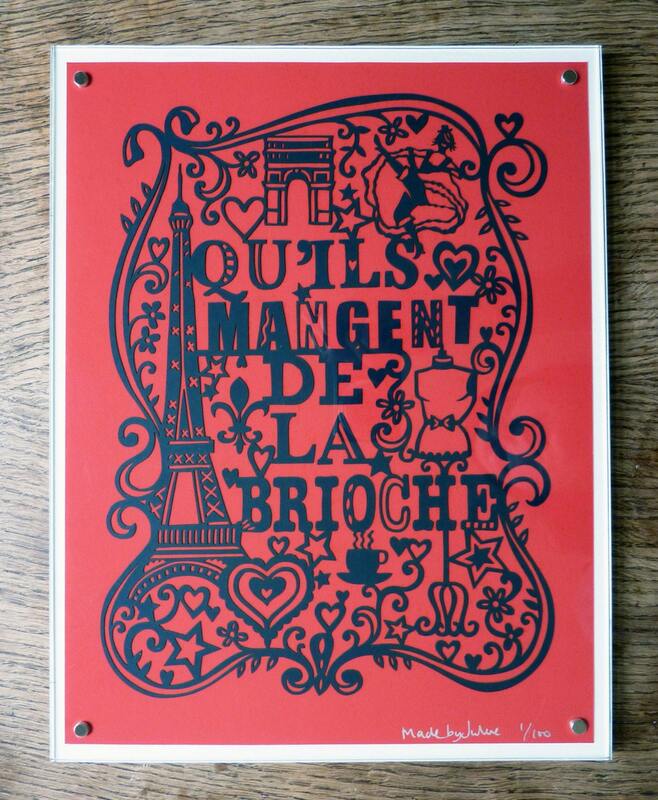 LOVE that french one. I'm a sucker for anything french! A series of these would look so cute! All in vibrant colors. I could totally see this in a kids room too for something a little different. I am obsessed with these...the NY one would be perfect for me since I am moving there in May! i emailed you a few photos days ago but never heard from you. did they come in? These are great! So glad you shared. I'm liking the NY one best, although I think they would be great in a series. These are AWESOME! I love the Paris one! way too hard to pick! i'm studying near paris now so my heart is quite literally here, but my boyfriend is loving in london so i suppose part of my heart is there, and my family and i outside new york so really my heart belongs to all three of these cities! gorgeous work and great post — loved the song references!